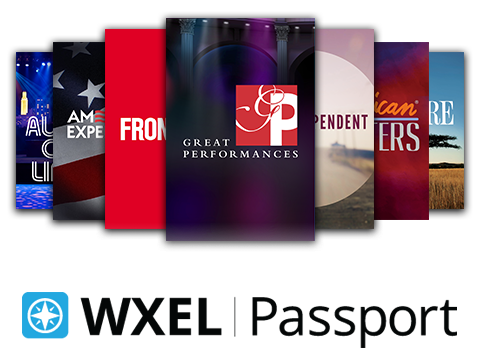 Introducing WXEL Passport, the newest member benefit that provides you with extended access to an on-demand library of quality public television programming. Featuring both PBS and select local programming, WXEL Passport allows you to watch even more episodes of your favorite shows, including “Downton Abbey” on MASTERPIECE along with other popular series including VICIOUS, EARTH A NEW WILD, HOW WE GOT TO NOW, THE GREAT BRITISH BAKING SHOW and many more. WXEL: South Florida PBS' commitment to expanding service now includes this new member benefit that is available on our website, at PBS.org and within the PBS Video apps for iOS and Android smartphones and tablets. Additional device platforms are coming soon. To find WXEL Passport video, simply look for the distinctive compass icon. By becoming a member of WXEL today with a yearly, tax-deductible contribution of $60 or more (or ongoing $5 per month, as a sustaining member), you’ll be among the first to try our latest member benefit. Click here to get your Passport activation link if you have given WXEL your email address. Or call Audience Services to activate WXEL Passport at 1-855-996-9935. Remember, you can watch WXEL Passport and our on-demand videos on your computer, smartphone, or tablet through the WXEL website, at PBS.org and within the PBS Video apps for iOS and Android smartphones and tablets. You can also access WXEL Passport on Apple TV, and additional device platforms are coming soon. Look for the distinctive compass icon: to find WXEL Passport video. To learn more about WXEL Passport, visit our FAQ page.